The giant supermarkets seem to have jumped on every aspect of selling that they can find, and financial packages are the latest in their ever expanding catalogue. However, supermarket loans have been around for at least ten years now and they do offer some very competitive rates of interest. No longer content with just selling food and household goods, supermarkets have expanded to offer a range of financial packages. As well as loans, the big supermarkets such as Asda, Marks and Spencer, and Tesco offer their own credit cards and insurance packages. The loans offered by supermarkets can be very competitive and they can offer special deals that some lenders will struggle to match. 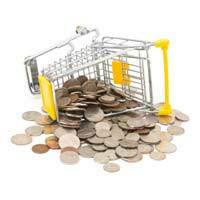 Obtaining a supermarket loan is similar to obtaining a loan from a traditional lender. You can simply fill out an application form online or in the actual store and then the lending company used by the supermarket will process the loan application. Successful supermarket loan applications will be based on the usual lending criteria such as credit scores, electoral roll information and salary details. If successful the money will be paid into a chosen bank account or a cheque can be sent to the borrower’s home. Surprisingly, although supermarkets do come under a lot of fire in other areas such as pushing out the local competition, the figures look good in their lending capabilities. Figures have shown that almost 11 million people have taken some form of financial service from a supermarket or store rather than use the traditional route such as banks and building societies. The low APR of some supermarkets does seem to be drawing in the customers who also see supermarkets as a more friendly option than the banks. As with any type of loan you should always compare the annual percentage rates (APR) give by the various supermarkets. Reports have shown that although some supermarket’s annual percentage rates are very competitive compared to high street lenders other supermarkets come off as the losers in the lending arena. One “up market” supermarket, which is a high street favourite, has higher rates of interest than can be found at normal lending outlets. The same supermarket also charges high rates of interest for its credit card facility, so shopping around and comparing supermarket loans is a must if you want to obtain low rates of APR. Loan comparison sites will rate the supermarket lenders alongside the usual high street and internet only lenders. They will be able to show borrowers which lender has the best rates of interest and how much the repayment figures will be. Remember, you may be able to find much better rates of interest from other lenders than you will simply by looking at the supermarket sector. Reviews are mixed on the supermarket credit cards offered by the big retailers. It is in this aspect of lending that supermarkets do seem to be flagging behind the usual lenders. None of the big supermarkets offer zero percent transfers on balances for longer than nine months. Borrowers should definitely shop around when considering a credit card as some lenders will offer zero balance transfers for up to double this length of time. Supermarket loans are good news in the competitive lending market but customers should always realise that they are in the business of making money. Supermarket loans will have the same fees, charges and early repayment fees as any of the normal lenders. Borrowers should always go for the lowest APR rate over the shortest loan term in order to beat the lenders when it comes to paying interest.